Jay is the J.L. in J.L. Tippett Construction Company. Jay and Tippett Construction began their journey back in 1982 with the completion of his first project. Although he was serving as a Project Manager for AT&T at the time, he still found time to do what he loved which was remodeling houses. In 1987, he decided to retire from AT&T and pursue his passion full-time. As a native of Washington D.C. Jay attended the University of Maryland and George Mason University in pursuit of a B.S. degree in Business and Public Administration. Jay believes strongly in giving back to the community in his “spare” time. As an active member of Our Lady of Hope Catholic Church, Diocese of Arlington, Jay has volunteered his time and materials on projects throughout Eastern and Central Virginia. In the past he has led groups of volunteer teenagers in a Summer Youth Work Camp for the handicapped and needy. Jay also contributes his time and talent as a member of the Knights of Columbus on various volunteer projects throughout the year. After 15 years as a youth soccer coach, Jay decided that he needed to hang up his cleats to spend more time with his growing number of grandchildren. The current count is seven with number eight on the way. Jay resides in Potomac Falls, VA with his wife Cherie and various pets. Jay and Cherie are the proud parents of 3 wonderful children Joe and Steve, who are part of the management team here at Tippett Construction, and Dawn, who has taken a temporary leave from her High School guidance counseling position to take care of her four young children. Jay can be found in one of the four places on just about any given day: either spending quiet time with Cherie; involved in running the business; doing volunteer work for Our Lady of Hope Church or taking a hike with or playing with one or more of his grandchildren. Joe has been with J.L. Tippett Construction Company, Inc. for more than 20 years. He was born in Wheaton, Maryland and currently resides in Potomac Falls, Virginia with his wife Lana and son Joey. Joe started his career with Tippett construction as a helper, performing many exciting tasks such as digging footers, moving dirt and carrying lumber. Since then he has progressed through the ranks to the position of Lead Carpenter. He is also the Production Manager with the overall responsibility for the supervision of the Lead Carpenters and Carpenters for Tippett Construction. In April of 2003, he achieved the prestigious Certified Lead Carpenter (CLC) designation from the National Association of the Remodeling Industry (NARI). In addition to completing this qualification process, Joe received an award from the regional NARI chapter for completing the certification process with the highest score in the DC Metro Chapter. Besides spending quality time with his family, Joe’s hobbies include golfing, fishing, target shooting, hiking, watching his son play hockey either on his Ashburn Club team or on his high school team, and spending quiet time on the beach. Steve has been with J.L. Tippett Construction since he was just a teenager. He began his career as a carpenter’s helper, performing such duties as digging footers, moving lumber, hauling trash, and cleaning jobsites. He has advanced through the ranks at Tippett Construction to become the Financial & Marketing Manager. In 2003, Steve graduated from the State University of New York College at Brockport with a degree in International Business and Economics with a minor in History. He then went on to obtain his Masters in Business Administration from Shenandoah University in 2004. Steve achieved the Certified Lead Carpenter (CLC) designation from the National Assocation of the Remodeling Industry in February 2006. Steve currently resides in Ashburn with his wife, Christina, and their two cats, Tiger and Jasmine. Besides his passion for ice hockey, Steve also enjoys football and golf. Cherie has been with the company since the idea was first formed. She works part-time in the office handling the company’s payroll, accounting, and tax responsibilities. She is not notorious for her carpentry skills, but has been knows to haul lumber, pick up supplies, and paint. Also a native Washingtonian, Cherie has worked in the veterinary field on and off for over 30 years. Her love for animals is most noticed by the number of pets she has adopted over the years. She is now working full-time for the Veterinary Surgical Center in Vienna. Cherie continues to devote much of her spare time to the care of the pets, Oliver, Bella, Carson, Freida, and Raphael. She also tries to arrange her schedule so she can spend as much time with Jay as possible; traveling, hiking, or just cuddling on the couch. She is an avid reader and likes to do many home crafts. 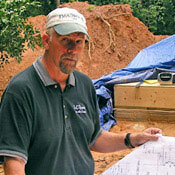 Dale has been with J.L.Tippett Construction since 1987. Dale is a native of the Washington, D.C. Metropolitan area and resides in Columbia, MD with his wife Jody and two children, Justin and Jessica. Dale’s main responsibility as a Project Manager is to manage large and complex jobs. In 1998, Dale achieved the Certified Lead Carpenter (CLC) designation from the National Association of the Remodeling Industry. Edwin has been with J.L. Tippett Construction for three years. He began as a carpenter and quickly progressed to the level of Lead Carpenter. Edwin was born and raised in Cochabamba, Bolivia. While in Bolivia, Edwin attended college in pursuit of a degree in accounting. After college he began working at a bank, where he quickly progressed to the position of supervisor. Edwin achieved the CLC from the NARI in February 2006. He currently resides in Fairfax with his wife, Maria Jose, daughter, Aileen, and son, Matthew. In his spare time, Edwin loves playing soccer and working with his hands. Clayton was with J.L. Tippett Construction Company from the fall of 1998 to the fall of 2003 when he left to run his own custom carpentry business. After eight years of being self-employed he decided that he had enough of the headaches of running his own business and Jay Tippett agreed to bring him back as a member of our team. He is now in his 11th year with the company. Clayton began his career over 30 years ago and brings a wide variety of expertise to J.L. Tippett Construction. In May of 2000, he achieved the prestigious Certified Lead Carpenter (CLC) designation from the National Association of Remodeling Industry (NARI). Since joining the company, Clayton has been responsible for constructing several complex multi-level additions. Clayton was born in Maine, but now resides in Sterling, VA with his lovely and talented wife, Marla. Clayton is a die-hard Boston Red Sox fan, as well as a fan of all sports. He enjoys hunting, fishing, and playing golf. He spends most of his vacation time in Maine with his son Keith and wife Amie, grandson Haydon, granddaughter Camryn, his parents and siblings. He enjoys spending time with his daughter, Lisa and husband Josh, his daughter Mandy, and his grandchildren Alec, Hailey and Grace. Bobby is the newest addition to J.L. Tippett Construction Company, Inc., having joined the crew in 2014. He was born and raised in the Ashburn, VA area and currently resides in Winchester, VA with his wife of 41 years. Although Bobby has only been with J.L. Tippett Construction for a short time, he’s been mastering his craft for over 44 years. 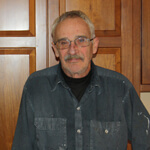 He began his carpentry career with a custom home builder in 1973. 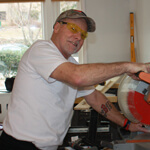 He is a jack of all trades, but specializes in framing, custom trim work, cabinetry, and siding. Bobby graduated from Broad Run High School, and spends most of his free time with his family.